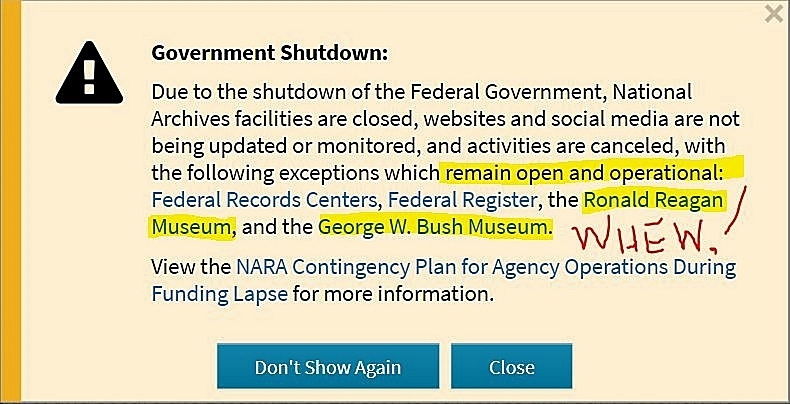 REALLY, who needs federal employees, anyway? I offer this post to connect personally with one kind of public servant we discard when we cut off their agency funding. I hope this helps readers feel … well, just feel. Meet Jim Hudgins, who was the Michigan Private Lands Coordinator for the U.S. Fish & Wildlife Service for 25 years. I think you’ll see why Jim’s story just makes you feel good about true public servants. That is, NOT the kind of public “representatives” we “elect” (buy) who keep getting paid and fully staffed in Congress and the White House when their failure to uphold their duty wrecks life for millions of innocent people for an indeterminate time. Yeah … millions. Think about how many are deeply affected by laying off the 800,000. Now for this lovable USFWS guy, Jim. A 4.5 minute video. Let his eyes do the talking in the final half-minute, when he’s indoors wearing a black shirt. I’m so glad he retired in September, before the current insanity. I’m sure he had seen plenty of it already. Take off your shoes, turn up the volume, and get immersed in just letting this bit of music play inside you from around the world, noticing how these people are immersed … it’s as much fun seeing them as hearing them. Lyrics below. Maybe this will help for a few minutes. Play it again. The performers: Juan Carlos Portillo, Caracas, Venezuela; James Gadson, Los Angeles, USA; D. Chandrajit, Kanchiouram, India; Tom Johnston, Mill Valley, USA; Denis Lisboa, Sao Paulo, Brazil; Patrick Simmons & John McFee, San Diego, USA; Lara Johnston, Los Angeles, USA; Tarek Ayoubi, Batroun, Lebanon; Ellis Hall, Los Angeles, USA; Char, Tokyo, Japan; Roots Gospel Voices of Mississippi, Hattiesburg, USA; Los Pinguos, Buenos Aires, Argentina; Massamba Diop, Dakar, Senegal; Mermans Mosengo, Kinshasa, Congo; Titi Tsira, Gugulethu, South Africa; Nicola Hakim, Beirut, Lebanon; Hiraidai, Tokyo, Japan; The Playing for Change Band, at the moment in Patagonia, Argentina; Rajhesh Vaidhya, Chennai, India; and several others not identified in the video. 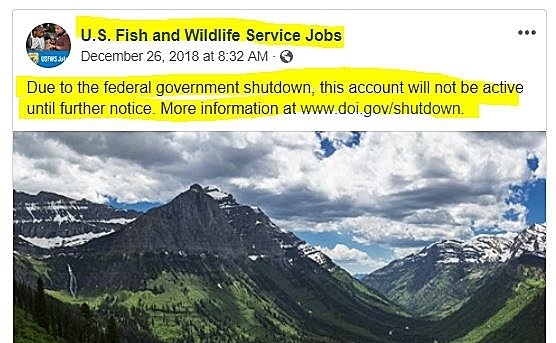 This entry was posted in Ecology, Environmental Science, Environmentalism, Law, Political, Science, Wildlife and tagged Department of the Interior, Federal employees, Federal Government, Federal Shutdown, Jim Hudgins, Private Lands Coordinator, US Fish & Wildlife Service by The Balsamean. Bookmark the permalink. P.S. : I support Playing For Change with regular donations because they are one of my sources of hope for this world, and because they light me up. PlayingForChange.com Please consider helping them. Nice interview and nice song sung round the world! I think that this new ‘crisis’ is making people realize how important our natural world is, so maybe more people are awakening and realizing we should take care of our planet. Then there are others, already awakened, who are so affected emotionally that they are having trouble relating to others.. They are close to tears, hearts breaking not only for what’s being lost, but also for the hard-hearted-ness of some people in our world. About the latter — the heavy-hearted trodden down by the hard-hearted — some of them have been depressed ever since November 2016. We should have started puking a year before that. Thanks, Lisa. Hope all is well for you equatorials. Your neighbors in Venezuela … not such good times there.